The Creator gifted each human being with a voice and language to use. Indigenous languages are verb-based rather than noun-based. They tend to describe people, places, and things instead of labelling them. 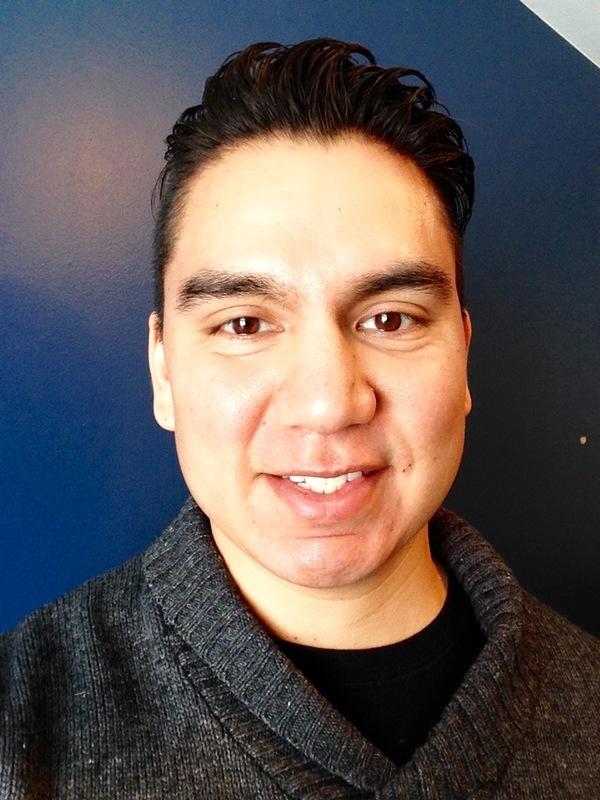 Within southern Ontario, Indigenous languages are no longer peoples’ mother tongues. However, more Indigenous people are revitalizing and preserving their languages. 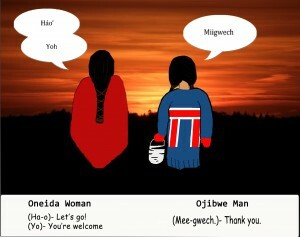 Indigenous languages carry a people’s culture and whole philosophy in life. 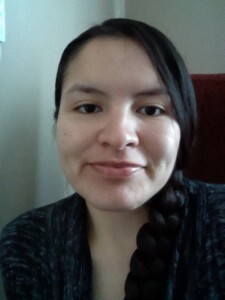 This is why it is so crucial to keep Indigenous languages alive. Many Indigenous peoples have lost some of their ways and traditions, so the best approach to retaining knowledge and tradition is to relearn their language. I had curated The Story of Our “Grandfathers”: Our Original Medicines previously for the Museum of Ontario Archaeology. By taking that experience and working with language, I had come up with an interesting idea to convey Indigenous languages without strictly text. 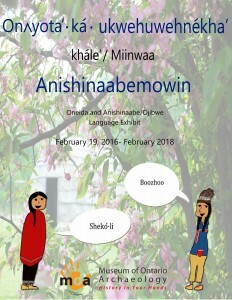 It is interesting, fun, and educational, not only about Indigenous languages but also about the past and present interactions between different Indigenous nations. Within Indigenous languages, there is no past, present, or future; it is all inclusive of each other. This is why there is a past feel but with a present sense within this new exhibition. I encourage everyone to come and check it out. It opened this month and will be on until February 2018.